Mission: Providing independent, objective and up-to-date knowledge based on scientific activity as well as research and development works, which support economically sustainable and environmentally sound development of marine fisheries. Goal: Achieving the status of a reliable and modern research institute, which is attractive for scientific and business partners (in Poland and abroad), and conducts comprehensive research into sustainable exploitation of marine ecosystems and use of marine fisheries resources. developing society’s awareness on the functioning and rational exploitation of the marine ecosystem, with a special attention to sustainable marine fisheries management. The statutory activity of the Institute is financed by the Ministry of Science and Higher Education. The Multiannual Programme for Collection of Fisheries Data financed by the European Commission and the Ministry of Maritime Economy and Inland Navigation is another stable element of the National Marine Fisheries Research Institute research budget. Additional financial means for the NMFRI research are awarded through competitive processes, including research projects financed by the Ministry of Science and Higher Education, EU Framework Programmes and the European Fisheries Fund. Scientific services for Polish and foreign institutions and companies as well as the income from the NMFRI’s own business activity complement its budget. International cooperation coordinated by the International Council for the Exploration of the Sea (ICES) is of crucial significance for the NMFRI’s research. The programme for collection and processing of fisheries data within the EU Data Collection Framework (DCF) is another important element of the Institute’s research activity. It is a necessary element for Poland’s implementation of the EU Common Fisheries Policy. 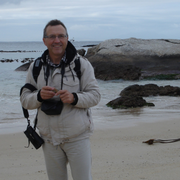 The Director of the NMFRI is also a member of EFARO (the European Fisheries and Aquaculture Research Organisation). Developing and introducing a selective codend with meshes turned 90°, called a T90 codend, is one of the most significant practical achievements of the National Marine Fisheries Research Institute in recent years. The device was introduced in 2005, with a regulation of the European Commission, as a standard selective tool to be used at the Baltic Sea fisheries. The Institute is also very successful in innovation and implementation activities. In 2008-2015, 14 innovative solutions were implemented at the Department of Processing Technology and Mechanisation. The Department wins gold medals and awards at many domestic and international exhibitions (like POLFISH and GASTROEXPO in Gdańsk or the International Warsaw Invention Show), as well as abroad (exhibitions in Brussels, Taipei, Sevastopol or Moscow). In December 2016 the Institute received the “HR Excellence in Research” logo awarded by the European Commission. It is a quality label awarded by the European Commission to institutions which implement the principles of creating friendly working and career development conditions, as well as transparent processes for the recruitment of researchers. Granting the logo is one of the activities of the European Commission within the framework of the Human Resources Strategy for Researchers. Based on the results of a complex assessment of scientific as well as research and development activities of scientific units which was conducted by the Ministry of Science and Higher Education in 2017, the NMFRI received category A in the so-called heterogeneous research units group. The Scientific Council is a decision making, initiating, opinion-issuing and advisory body of the Institute in the field of its statutory activities as well as the development of the scientific or research and technical employees. issuing opinions on the candidates for the deputy director for scientific matters, scientific secretary as well as heads of units defined in the organisational regulations, responsible for conducting research. The Scientific Council is chosen every 4 years. However, it is not possible to change all the members of the Institute’s Scientific Council. It is worth mentioning that over the many years of the Institute’s activity, its Scientific Council had eminent scientists among its members or chairmen. Among others, there were Prof. E. Grabda (Agricultural Academy in Szczecin), A. Niegolewski (Agricultural Academy in Szczecin), K. Pertusewicz (Polish Academy of Sciences), J. Doerfer (Gdańsk University of Technology), H. Niewiadomski and Z. Sikorski from the Gdańsk University of Technology, A. Rutkowski (Warsaw University of Life Sciences), R. Wojtusiak (Jagiellonian University) and many more. Outstanding representatives of administration and industry were also members of the Scientific Council of the NMFRI. Their insight into the practical focus of the Istitute’s research has been a priceless contribution. Celebrations of important anniversaries in the history of the Institute are usually organised as a part of Extraordinary Sessions of the Scientific Council. The NMFRI Scientific Council includes also Dr.Eng. Joanna Szlinder-Richert, Professor of NMFRI, the Deputy Director for Scientific Matters, pursuant to Article 30 (5) of the Act of 30 April 2010 on research institutes. 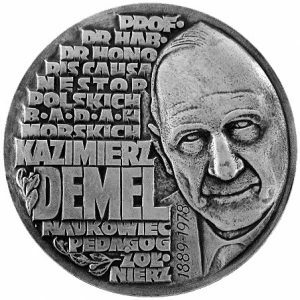 The Professor Kazimierz Demel Medal is an honour and expression of special appreciation for extraordinary scientific and organisation achievements in research and promotion of biological, environmental and fisheries knowledge of the sea. It is awarded to Polish and foreign people as well as institutions and associations, based on applications, which can be submitted to the Committee at any time. The Medal Committee is composed of the past winners of the medal (people only) as well as the Chairman of the Scientific Council and the Director of the National Marine Fisheries Research Institute. The Medals Awarded by the Committee are ceremonially handed in by the Director of the NMFRI. The Medal is a circle 90 mm in diameter. It is made of silvered bronze. It was made at the Mint of Poland in Warsaw in 1991, according to a design by Józef Jezierski, an artist. Statute for the Professor Kazimierz Demel Medal is available at the National Marine Fisheries Research Institute (in the Committee Headquarters). The National Marine Fisheries Research Institute is the oldest research facility which conducts research into the sea and fisheries with a history that goes back to the interwar period. Its origins are connected with the date of 18th June 1921, when the Polish authorities established the precursor of the NMFRI – the Sea Fisheries Laboratory in Hel. Establishing the Sea Fisheries Institute association in Warsaw in 1928 was another significant event of those times. The institution was supported financially by the Ministry of Industry and Commerce. Prof. Michał Siedlecki (1873-1940), an eminent zoologist from the Jagiellonian University in Cracow, was the President of the aforementioned association. The Sea Fisheries Institute of those times supported fishermen and Polish fishing industry financially and organisationally. In 1931, according to a decision of the Ministry of Agriculture, the Sea Fisheries Laboratory in Hel was closed. In 1932, the property of the former laboratory was taken over by a newly established facility of the Marine Station in Hel. 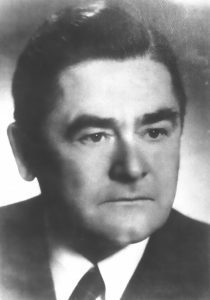 Mieczysław Bogucki (1884-1965), a future zoology professor, was its director and organiser. The establishment of the Marine Station was an impulse for the development of the Polish marine fisheries research. Soon, its fisheries department was founded in Gdynia and managed by Borys Dixon (1873-1955). 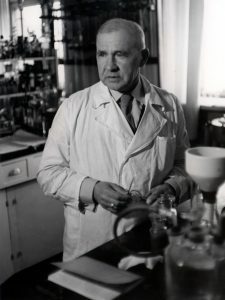 In Hel, on the other hand, there was a biology department managed by Kazimierz Demel (1889-1978). 1938 was a crucial date for the development of the Marine Station, as in December of that year it was transferred from Hel to Gdynia, a city which was developing dynamically at that time. The station’s new building was located at the end of the South Pier (current Gdynia Aquarium). The operation of the Marine Station in Gdynia and the the Sea Fisheries Institute association was stopped by World War II. In 1945, the Station resumed its activities in Gdynia, as the Sea Fisheries Laboratory, which was a reference to the tradition of the facility, which used to exist before 1939 in Hel. It is worth emphasizing that the new Sea Fisheries Laboratory in Gdynia hired the former employees of the Laboratory and Institute in Hel and Gdynia before 1939. Kazimierz Demel, Mieczysław Bogucki, Walerian Cięglewicz, Zygmunt Mulicki and Władysław Mańkowski were among them. In 1945, the pre-war Sea Fisheries Institute association was reactivated. On 28th October 1947, it formally became a scientific institute supervised by the Ministry of Navigation. The newly created Sea Fisheries Institute took over the property of the pre-war association under the same name. Conducting research into marine fisheries was one of the main tasks of the Institute. 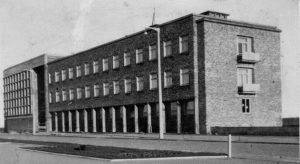 On 1st January 1949, the Sea Fisheries Laboratory was officially incorporated into the Sea Fisheries Institute in Gdynia. Until 1990, the building at the end of the South Pier was the main headquarters of the Institute. In 1991, it was transferred to the building in 1 Kołłątaja Street in Gdynia. In 2000, the Sea Fisheries Institute changed its supervisor for the Ministry of Agriculture and Rural Development. Since 2015, it has been under the supervision of the Ministry of Maritime Economy and Inland Navigation. 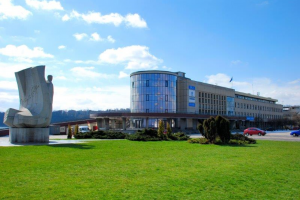 In June 2011, according to a government order, the Sea Fisheries Institute gained the status of a National Research Institute and, at the same time, joined the exclusive group of other such institutes in Poland. Gdynia was not or is not the only location for the NMFRI’s field operation. Soon after the end of World War II, the Institute had two branches, which were later transformed into departments. One of them was located in Szczecin (and existed until 1952), while the other one was in Kołobrzeg (transformed into a field unit in 1976). 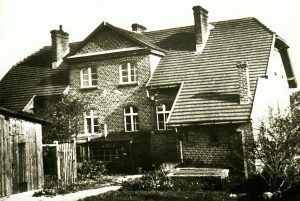 In 1950, the Sea Fisheries Institute established an Ichthyological Laboratory in Trzebież, which was supervised by the Kołobrzeg Department. In 1952, it was transferred to Świnoujście, where a Department of the Institute was opened. In 1999 the Świnoujście Department was renamed the Research Station. It has been functioning under this name until today. 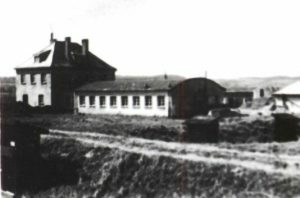 The Experimental Stocking Centre of the Institute operated in Tolkmicko at the Vistula Lagoon from 1st May 1954 until 7th April 1973. Eggs of salmonids, zander and pike were bred there. The Plankton Sorting and Identification Center in Szczecin has a special role at the NMFRI. It was established in 1974, thanks to intergovernmental arrangements implemented by the Sea Fisheries Institute and the National Marine Fisheries Service, North-East Laboratory in Woods Hole (USA). Initially, it worked for American scientific facilities and it was financed by them. Today it offers services connected with taxonomic identification of various plankton samples as well as preparing size and biological structure. Laboratories from the USA (NOAA-NMFS), Canada, Denmark, Sweden and the Netherlands are the main clients of the Centre. 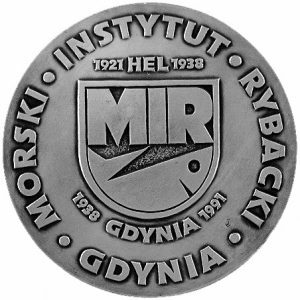 The Gdynia Aquarium, which was opened on 23th June 1971 in the Institute’s building to celebrate the 50th anniversary of the Sea Fisheries Institute also belongs to the structures of the National Marine Fisheries Research Institute. First, it was called the Oceanographic Museum and Marine Aquarium. In July 2003, it was renamed and received its current name. It is a modern zoological garden, where you can admire over 1,400 aquatic and semiaquatic animals of 200 species from all over the world. The largest attractions are the delightful colourful coral reef and unique specimens like bottom-dwelling sharks, red piranha, freshwater stingrays, the world’s smallest crocodile – dwarf crocodile – as well as the world’s heaviest snakes – green anacondas. Education is also an important element of the NMFRI Gdynia Aquarium’s activity. Its aim is to promote knowledge of biology and ecology of the sea as well as the environmental protection. 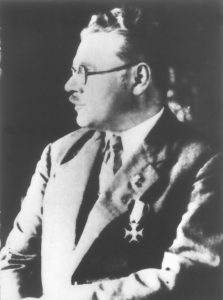 Prof. Kazimierz Demel (1889-1978) – graduate of the Geneva University (1911). In 1923, he began working at the Marine Laboratory in Hel. In 1925, he became its head. In 1932, the Marine Station in Hel was established on the basis of the closed Marine Laboratory. K. Demel was the head of its Biology Department. He kept serving this function even after the Marine Station was transferred to Gdynia, in 1938. After the War had ended, in April 1945, he and the other employees of the Marine Station began rebuilding it, under the pre-war name of the Marine Fisheries Laboratory. He received the professor title in 1957. Apart from his work at the Sea Fisheries Institute, K. Demel was an active educator. He was the dean of the Fisheries Faculty of the Agricultural Academy in Olsztyn. He was a lecturer at the Warsaw University of Life Sciences and the Faculty of Sea Trade in Sopot. After he retired in 1960, he wrote books and textbooks. He was an unquestionable pioneer of Polish marine research and the creator of Polish biological oceanography. He was buried in the alley of distinguished citizens at the Witomiński Cemetery in Gdynia. 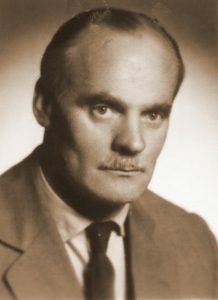 Prof. Mieczysław Bogucki (1884-1965) – head of the Marine Station in Hel (1932-1939) and the Marine Fisheries Laboratory (1945-1949). He completed his doctoral studies in 1916, at the Jagiellonian University in Cracow. He also studied at the Paris Sorbonne. He specialized in marine zoological stations. He habilitated at the University of Warsaw and received the professor title in 1959. After the merger of the Marine Fisheries Laboratory and the Sea Fisheries Institute in 1949, he became the head of the Institute’s main department – the Department of Ichthyology. As he was forced to leave the Institute for political reasons, he began working at the Necki Institute of Experimental Biology in Łódź. 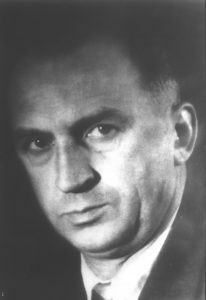 Prof. Piotr Trzęsiński (1906-1968) – a graduate of the Faculty of Chemistry at the Jagiellonian University in Cracow (1936). He received his doctoral degree in chemistry in 1945, at the Faculty of Mathematics and Natural Sciences of the Jagiellonian University. In 1954, he received the title of an associate professor and in 1965 he became a professor of chemistry. He worked at the Marine Fisheries Laboratory from May 1946. Later, he became the head of the NMFRI’s Department of Fish Technology. He was a lecturer at the Faculty of Pharmacy at the Medical Academy and the Gdańsk University of Technology. A member of the Polish Chemical Society. His scientific activity was focused on fish processing, especially the chemical properties of fish raw materials as well as the use of waste fish raw materials. 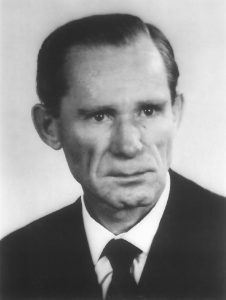 Prof. Z ygmunt Mulicki (1908-1965) – a graduate of the the Mathematics and Natural Sciences Faculty at the John Casimir University in Lviv (1935). After completing his studies, he began working as an assistant lecturer at the Ichthyology Department of the Marine Station. In 1945, when the War ended, he got employed at the Marine Fisheries Laboratory, and later at the Sea Fisheries Institute, as the head of the Applied Ichthyology Department. He received his doctorate in 1946, at the Mathematics and Natural Sciences Faculty of the Jagiellonian University. He received the title of Doctor of Philosophy in zoology and comparative anatomy. In 1954, he received the title of an associate professor. His interests were focused on the marine fisheries, methods of ichthyological research and the ecology of the Baltic Sea. In 1961, he had to withdraw from the scientific life, due to an illness. 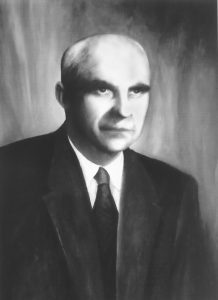 Prof. Walerian Cięglewicz (1909-1996) – graduate of the Mathematics and Natural Sciences Faculty at the John Casimir University in Lviv (1928-1933). He received his doctorate in zoology and comparative anatomy in 1946, at the the Mathematics and Natural Sciences Faculty of the Jagiellonian university in Cracow. In 1954, he received the title of an associated professor and in 1964 he became a professor. He was a junior assistant at the Fisheries Department of the Marine Station in Hel since 1935. After the War, he worked at the Marine Fisheries Laboratory, where he was the head of the Fisheries Technology Department. Then, he worked at the Sea Fisheries Institute since 1949. In 1949-1956, he was a Deputy Director for scientific matters. Later, he was a research worker at the Ichthyology Department. His contributions in the field of international cooperation were huge, too. Since 1956, he was a delegate for the International Council for the Exploration of the Sea. 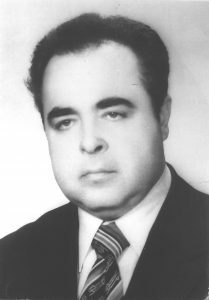 First, he was elected a vice-president of the organisation (1966-1969). Later, he was its first, and so far the only, Polish president (1969-1972). 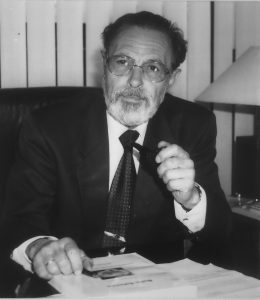 Since 1973, he presided the Inter-ministerial Committee for Research and Exploitation of the Sea and Ocean Resources. A distinguished educator. The head of the Fish Biology Department at the Fisheries Faculty of the Agricultural Academy in Olsztyn. Later, since 1967, he was connected with the Agricultural Academy in Szczecin. Also involved with the Faculty of Economics in Sopot, the Gdańsk University of Technology and the Department of Biological Oceanography at the University of Gdańsk. He was a pioneer in fish processing technology and an eminent ichthyologist. working at the Marine Station as an assistant zooplankton specialist. After the War, he was involved with the Sea Fisheries Institute. 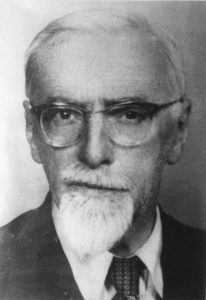 He defended his doctoral dissertation at the Mathematics and Natural Sciences Faculty of the Jagiellonian University (1946). He was granted the associate professor title in 1954 and became a professor in 1961. For many years, he served as the head of the Department of Ichthyology and then the Department of Oceanography as well as the NMFRI’s Deputy Director for Scientific Matters. A Member of the Scientific Committee for Oceanic Research of the Polish Academy of Sciences and the Polish Hydrological Association. A lecturer at the the Fisheries Faculty of the Agricultural Academy in Olsztyn and later in Szczecin. He was the first Director of the the Institute of Oceanography of the University of Gdańsk. His scientific interests were focused on sea biology and ecology, mainly on zooplankton, ichthyoplankton and primary production of the Baltic Sea. Prof. Dr. Eng. Feliks Chrzan (1911-1985) – graduate of the Faculty of Agriculture at the Jagiellonian University (1938). 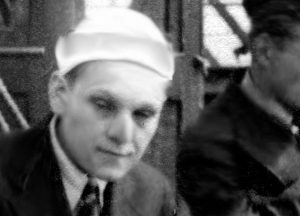 Before the World War II broke out, he did an internship at the Department of Fisheries of the Marine Station in Gdynia (1937). Since 1st October 1945, involved with the Marine Fisheries Laboratory and later with the Sea Fisheries Institute. Soon after the War, he played a significant role during the process of regaining a part of the library collection of the former Marine station from Germany. Since 1949, he worked at the Ichthyology Laboratory in Trzebież. In 1951, he defended his doctoral dissertation on the biology of cod in the Gdańsk Bay. He got nominated as an associate professor in 1954. In 1965, he became a professor. He was the head of the NMFRI’s Department of Ichthyology. A lecturer at the the Faculty of Economics in Sopot, the Gdańsk Technical University, the Warsaw University of Life Sciences and the University of Gdańsk. His research interests were focused on biology of salmonidae as well as the tools and techniques of fishing. Prof. Teofil Dąbrowski (1913-1981) – in 1935-1939 he studied at the Faculty of Chemistry of the Stefan Batory University in Vilnius. However, due to the outbreak of the War, he graduated from the Faculty of Mathematics, Physics and Chemistry of the Nicolaus Copernicus University in Toruń (1946). 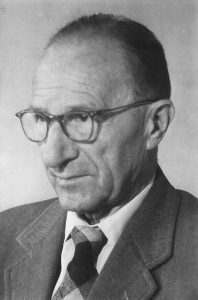 He defended his doctoral dissertation in Chemistry at the Faculty of Mathematical and Natural Sciences of the University in Poznań in 1949. He habilitated at the Faculty of Mathematics, Physics and Chemistry of the Nicolaus Copernicus University in Toruń in 1961. He received the associate professor title in 1968. Involved with the Department of Inorganic Chemistry of the Gdańsk University of Technology and the Department of General Chemistry at the Medical Academy. 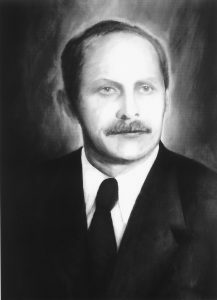 In 1962-1968, the head of the Fish Processing Unit and Deputy Dean of the Extramural School at the Fisheries Faculty of the Agricultural Academy in Olsztyn. The Director of the NMFRI in 1966-1969. His scientific interests were focused on the technology of fishery industry. After he left the NMFRI, he was the head of the Department of Food Industry Machines and Devices of the Gdańsk Technical University. 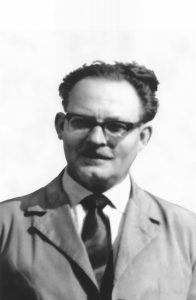 Prof. Józef Popiel (1923-1995) – a graduate of agricultural studies in Cracow (1947). He started working at the Marine Fisheries Laboratory in Gdynia in the same year. First, he did volunteering work. In 1948, he was given a permanent contract. He was a pioneer of fisheries research on industrial ships on the Baltic and North Sea. He received the professor’s title in 1968. He specialised in widely understood fisheries ichthyology, which he taught both to fishermen at courses and to students of the the Fisheries Faculty of the Agricultural Academy in Olsztyn and later in Szczecin. His lectures were extremely popular. His works on different stocks of herring were especially significant. He worked as the Head of the Department of Ichthyology at the Institute. A Polish representative at the International Council for the Exploration of the Sea of many years’ standing. 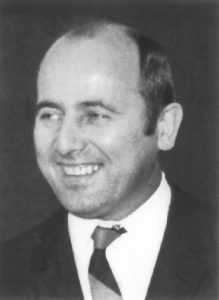 A vice-president of the organisation in 1979-1982. A recognised expert, who represented Poland in local fishery organisations of North Atlantic, like ICNAF and NEAFC. A supervisor of more than ten doctoral dissertations. 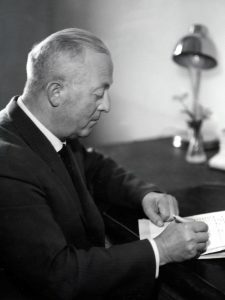 Prof. Józef Wiktor (1923-2000) – a graduate of the University in Poznań (1949). The Sea Fisheries Institute first employed him on 1st October 1949, at the ichthyological laboratory in Trzebież. Later, he was appointed the head of the Świnoujście Department. Together with his team, he prepared the basis of rational fish resource management in the Szczecin Lagoon and the Bay of Pomerania. He received the professor title in 1975. In 1971, he was transferred to the Sea Fisheries Institute in Gdynia, where he conducted trailblazing research in marine aquaculture. He retired in 1996. 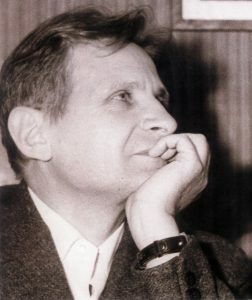 Prof. An drzej Ropelewski (1923-2012) – a University of Warsaw law graduate (1949). Received a doctoral title in economics at the Marine Department of the Faculty of Economics in Sopot in 1960. 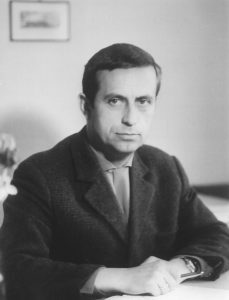 He habilitated at the Agricultural Academy in Szczecin in 1967 and received a professor’s title in 1974. An NMFRI’s employee of many years’ standing, who worked at the Institute since 1949. Since 1954, the head of the Scientific and Technical Documentation Unit, a manager of many research programmes of the Institute, since 1967, the Deputy Director for Scientific Matters and the Director of the NMFRI in 1984-1987. In 1962-1970, the representative in the International Council for the Exploration of the Sea. A member of the Scientific Committee on Oceanic Research at the Polish Academy of Sciences. Prof. Roplewski’s rich scientific contribution encompasses themes connected with the history of the development of Polish fishing and achievements in organising research activities in the fishing industry. 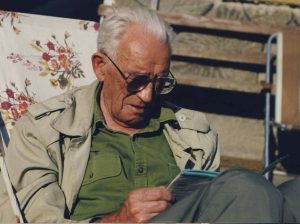 His scientific interests are complemented by the publications and memories from the times of World War II, when the Home Army conducted its operations, in which he participated. He is an unquestionable authority in the field of Polish fisheries and the Sea Fisheries Institute. Retired since 1990. Prof.Eng. Janu sz Zaucha (born in 1926) – a graduate of the Faculty of Chemistry, Gdansk University of Technology (1951), he received the doctoral degree in natural sciences in 1969 at the Department of Marine Fisheries of the Academy of Agriculture in Szczecin based on the dissertation “The influence of different kinds of net on the size composition in the catch of herring, quality of the fish and duration of exploitation in the North Sea Fishery”. He habilitated in 1976 at the Department of Marine Fisheries and Food Technology of the Academy of Agriculture in Szczecin based on the paper: “Comparison of technical and operational characteristics for pelagic trawls used in ships B-23 and the impact of color on their fishing capacity”. In 1987 he was conferred a title of the Associate Professor of natural sciences. Linked to the NMFRI during 1953-1997. Longtime head of the Department of Fisheries Technology, Laboratory of Fisheries Materials and the Laboratory of Fishing Gear. His scientific achievements comprise over 260 publications, including more than 50 original scientific papers. His research interests focus on the operation, selectivity and maintenance of fishing gear. He initially conducted studies in the field of preservation of net materials from natural fibers, followed by research in the field of physical and operational properties of synthetic fibers, to finally deal with issues at the interface of fishing materials and exploitation of fishing gear with particular emphasis on the selection and extended service life of materials in various types of fishing gear. 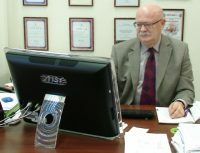 He is the author of 20 patents and several national standards. Among other things he developed the herring pound net. He also dealt with the problems of decline in selectivity of cod set gillnets and cod-ends operated in the Baltic Sea fishing grounds. 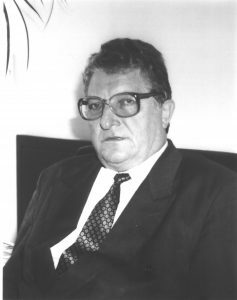 Prof. Zygmunt Polański (born in 1929) – graduate of economics at the Faculty of Economics in Sopot (1956). Received his doctoral title in economics at the same University. He habilitated at the the Fisheries Faculty of the Agricultural Academy in 1975. He received the associate professor title in economics in 1980. Employed at the Sea Fisheries Institute in 1953-1959 and 1962-2001. Since 1970, he was the head of the Department of Economics. The Director of the Sea Fisheries Institute in 1993-1998. Expert and consultant on the crucial issues of the marine fishery industry. Author of studies on fishery ports and the development of fishing fleet. In 1965-1975 he conducted forecasts, which were the scientific base for the development of fishery. His scientific achievements are focused on issues connected with the economics of fishing industry (among others, the fishing industry effectiveness assessment or research into the structure of fish prices). He is the author of an economic assessment method for the work of fleets which exploit remote, ocean fisheries. Retired since 1999. Prof. Dr. Eng. Daniel Dutkiewicz (born in 1936) – graduate of the Faculty of Mechanics at the Moscow Technical Institute of Fishing Industry and Economy (1954-1959). Employed at the Sea Fisheries Institute since 1st September 1959 at the Department of Fishing Industry Technology as an assistant. He habilitated at the Fisheries Faculty of the Agricultural Academy in 1967. He received the associate professor title in natural science in 1985. He is a pioneer in fish processing mechanisation in Poland. Author of many patents. The head of the Department of Fish Processing Mechanization at the Sea Fisheries Institute. Deputy Director of the Institute, who also acted as the Director in 1988 and 1999-2000. Lecturer at the Agricultural Academy in Szczecin and the Gdańsk University of Technology. Though he retired in 2006, he remains active at the Koszalin University of Technology. 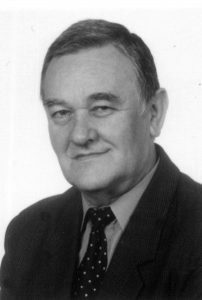 Prof. Bohdan Draganik (1937-2018) – a graduate of the Fisheries Faculty of the Agricultural Academy in Olsztyn (1958). An employee of the Sea Fisheries Institute since 1965. He specialised in the ecology of fish as well as the population dynamics of industrial species of fish. He served the function of an executive secretary to the International South-East Atlantic Fishery Commission in Madrid. He habilitated at the Agricultural Academy in Szczecin in 1975 and received an associate professor title in 1986. 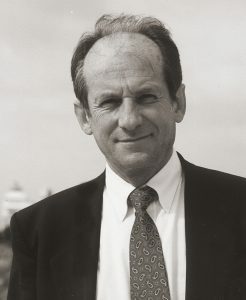 In 1979-1984, he was the Institute’s Director. 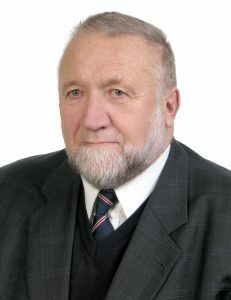 Prof. Józef Sosiński (1937-2016) – graduate of the Fisheries Faculty of the Agricultural Academy in Olsztyn (1961). He received his doctoral degree in 1971 and habilitated in ichthyology in 1983, at the Marine Fishery and Food Technology Faculty of the Agricultural Academy in Szczecin. After he completed his studies, he served his internship at marine fishery companies. He received the professor’s title in 1999. From 1964, until his retirement in 2005, he was an employee of the NMFRI in Gdynia, who served as a head of several units, which specialized in the assessment of the raw material base for the deep-sea fishery. A participant of many research cruises and research on fishing vessels in different areas of the Atlantic, the Indian Ocean and Antarctica, also as an organiser and head of expeditions. His scientific achievements are mainly focused on the biology of industrial fish, assessment of their resources and fishing opportunities. Apart from their scientific value, the research was meaningful in practice. A member of the Polish Academy of Sciences Committee of Marine Research and Committee on Polar Research of many years’ standing. Retired since 2005. Prof. Dr. Eng. 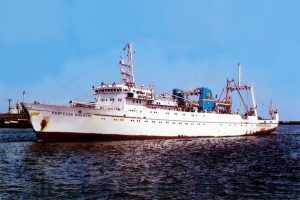 Piotr Bykowski (born in 1939) – a graduate of the Faculty of Food Chemistry at the Gdańsk University of Technology who gained his practical knowledge from trawler cruises at the Gdynia Dalmor. He defended his doctoral dissertation at the Faculty of Chemistry at the Gdańsk University of Technology. He received the professor’s title in 1997. In 1974-1978, he was the deputy director of the Central Fishing Industry Laboratory in Gdynia. Since 1978, he was the head of the Department of Fisheries Technology at the Sea Fisheries Institute for 30 years. President of the Polish Association of Fish Processors of many years’ standing. Currently, he is retired. A lecturer of the Gdynia Maritime University. Prof. Jan Horbowy (born in 1953) – graduate of the Faculty of Mathematics at the Adam Mickiewicz University in Poznań (1977). An employee of the Sea Fisheries Institute since the same year. He defended his doctoral thesis at the Sea Fisheries Institute in 1986 and habilitated at the Agricultural Academy in Szczecin in 1993. He received a professor’s title in 2001. He is a renowned expert in use of mathematical models for defining the dynamics of populations in stocks of fish and management of resources. He pays special attention to interactions between species. The author of tens of scientific studies, including over ten in the prestigious periodicals of the ISI Master Journal List. He also co-authored several monographs or wrote chapters for monographs. He was the supervisor of 3 doctorates. Since 1999, he has been the head of the Department of Fisheries Resources. He is an active participant of working parties or advisory bodies for the International Council for the Exploration of the Sea, often as the chairmen of the groups. 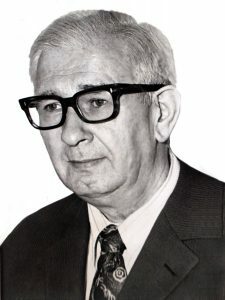 Prof. Ryszard Jerzy Kornijów – a graduate of biology at the Maria Curie-Skłodowska University in Lublin (1979). In 1986, he received a doctoral title in natural sciences at the Ecology Institute of the Polish Academy of Sciences, based on the doctoral dissertation Epiphytic fauna of elodeids in two lakes with different trophies. 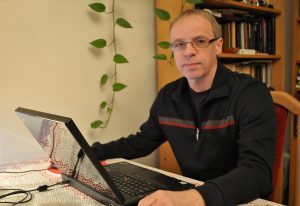 In 1997, he habilitated in biology at the Faculty of Biology at the Adam Mickiewicz University in Poznań based on the dissertation The Significance of Invertebrates as Consumers of Green Filamentous Algae and Elodea in Lake Littoral Zones. He received the title of professor of biology in 2003. His research is focused mainly on the interactions in food webs in water ecosystems, with a special attention to the role of makrophyte, benthos and fish, recultivation of water ecosystems, restoration of lake history based on paleolimnological techniques or ecology of invasive species. Probationer and scholarship holder at facilities like: Institute of Ecosystem Studies in Millbrook (USA), University of Liverpool (England), Centre for Limnology in Nieuwersluis (the Netherlands). A member, among others, of: International Society of Applied and Theoretical Limnology, Polish Hydrobiological Society, the Committee on Ecology of the Polish Academy of Sciences, Scientific Council of the NMFRI, member of editorial boards at Limnological Review and Oceanological and Hydrobiological Studies, UN expert for biodiversity, Polish representative at the SEFS (European Federation of Freshwater Sciences). Prof. Eng. Andrzej Marek Dowgiałło – graduate of the Faculty of Mechanical Engineering at the Gdańsk University of Technology (1973). In 1990, he received the title of a doctor of technical sciences, based on the dissertation Raw Material and Structural Factors Which Determine the Technological Parameters of Krill Shelling with the Roller-Slit Method. In 2004, the Faculty Council of the University of Life Science in Lublin granted him the life sciences post-doctoral degree in agricultural engineering, based on the dissertation on the Force of Cut in Fish Processing. He received the title of a professor of agricultural sciences in 2013. His scientific interests are focused on modern methods, technologies and mechanisation of marine raw materials processing. His research is highly practical and often implemented in fishing industry. He has created many prototypes of machines for processing fish and marine resources (krill, squid), which brought him medals and honours at international and domestic exhibitions and competitions. He is also an author and co-author of numerous patents and patent applications in the field of fishing industry, both fish processing and fish feeds production. Prof. Henryka Dąbrowska – a graduate of the Department of Water Protection and Inland Fisheries of the Academy of Agriculture and Technology in Olsztyn. In 1981, she received a doctoral title in natural sciences, based on the dissertation Research into the Use of Synthetic Amino Acid Additives in Compound Feeds for Rainbow Trout. She habilitated in 2003, in agricultural studies and fisheries, with a specialization in environmental toxicology at the Faculty of Environmental Protection and Fishery of the University of Warmia and Mazury in Olsztyn, based on the dissertation: Polychlorinated Biphenyl (PCBs): Bioaccumulation in Fish and Cytochrome P4501A Induction. In 2014, she received the professor of agricultural sciences title. She has a long-lasting scientific and research experience in fishery and environmental toxicology. The research is focused on bioaccumulation and biomonitoring of persistant organic pollutants in water ecosystems, with a special attention to fish and bottom sediments, as well as the biological impact of pollutants on the fish systems and application of biomarkers in the assessment of the water environment quality. She was a member of the Study Group on Baltic Ecosystem Health (SGEH) for the International Council for the Exploration of the Sea (ICES). Since 1999, a member of the Society of Environmental Toxicology and Chemistry (SETAC). She was employed as an assistant professor in the Institute of Ichthyology and Fishery of the Academy of Agriculture and Technology in Olsztyn, as an independent employee at the Ohio State University (College of Biological Sciences), as an associate professor at the Faculty of Biology and Environmental Protection and at the International Centre of Ecology of the Polish Academy of Sciences. Since 2007, she has been involved with the Department of Food and Environmental Chemistry of the NMFRI. 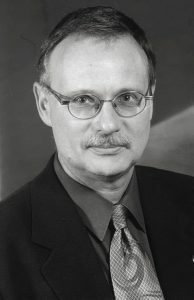 Prof. Tomasz Bernard Linkowski – graduate of the Marine Fisheries Faculty of the Agriculture Academy in Szczecin (1972), received a doctoral title in natural sciences at the Sea Fisheries Institute in 1980, based on the dissertation: Fish of the Myctophidae Family in the Scotia Sea and the Drake Passage. In 1998, he habilitated in ichthyology, based on a habilitation colloquium and the dissertation Morphological Variability, Systematics and Speciation of the Group Ceratoscopelus townsedi – C. warmingii (Osteichthyes: Myctophidae) in the Light of Examination of Otoliths Morphology and Microstructure at the Faculty of Biology, Oceanography and Geography at the University of Gdańsk. He received the title of professor of biology in 2014. Initially, his scientific interests were focused on the ichthyofauna of Antarctica and mesopelagic fish and later on the research into otolith microstructure and the Baltic fish recruitment, together with the factors, which can have a crucial impact on the processes: the physical and biological conditions, like the food (plankton) supplies available at the early development stages. Polish pioneer of the use of otolith microstructure in the fish recruitment processes research. Many times probationer and scholarship holder of prestigious American science centres, like Woods Hole Oceanographic Institution (WHOI), Museum of Comparative Zoology (MCZ) at the Harvard University in Boston and the University of Hawaii in Honolulu. Since 2003, a member of the Committee on Nature Conservation and Scientific Committee on Oceanic Research at the Polish Academy of Sciences. 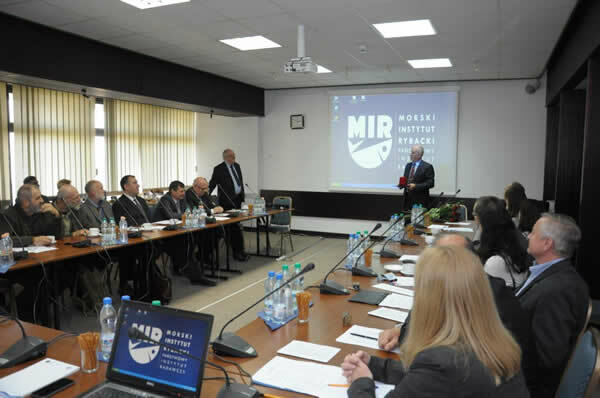 A member of the NMFRI’s Scientific Council and the Scientific Council at the Institute of Oceanology of the Polish Academy of Sciences of many years’ standing. In 2000-2003, Vice-President of the International Council for the Exploration of the Sea (ICES), a member of the European Fisheries and Aquaculture Research Organisation (EFARO) in 2004-2015 and a member of its board in 2014-2016. A member of the Main Council of the Research Institutes for the 8th term (until 2016). Marine fisheries research would not be possible in practice without research vessels. Even at the very beginning of the Marine Fisheries Laboratory in Hel, it was known that to fulfil the statutory goals of the Laboratory, a research vessel was needed. It certainly did not exclude fishery data collection from fishing vessels. However, many issues, especially those connected with the environment, could not be dealt without a research vessel. In its early days, the Marine Research Laboratory in Hel used the vessels of the Marine Fisheries Authority, Tryton and Gazda. 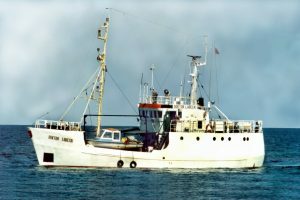 The full list of the Institute’s research vessels, together with their detailed description can be found in Polska flota rybacka w latach 1921-2001 (Polish Fishery Fleet in Years 1921-2001) by Wiesław Blady. The book was published by the Sea Fisheries Institute in 2002. 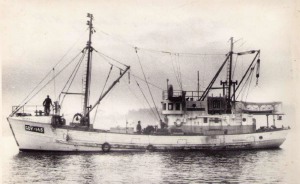 According to A. Ropelewski, ZORZA a sailing and motor cutter, was the first research vessel used by the Marine Fisheries Laboratory in 1927-1931 to serve marine fisheries. Unfortunately, there are no photographs of the vessel. 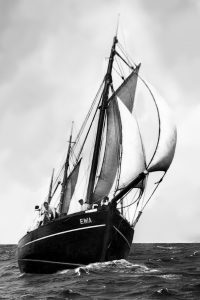 EWA – a sailing and motor cutter which served the Institute in 1929-1939. 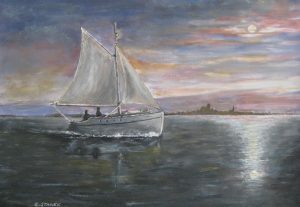 It still sails as a yacht, under the name of Norda. Its exceptionally interesting history can be found in the above-mentioned book by W. Blady. MEDUZA – a motorboat which was used for inshore research in 1936-1950. 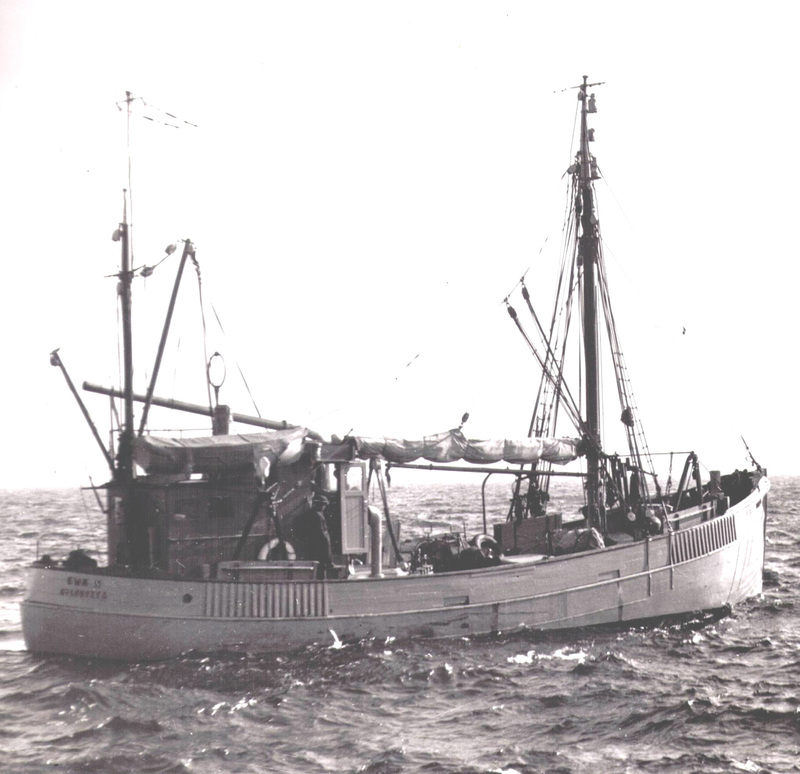 EWA II – a cutter which was used by the Sea Fisheries Laboratory (later the NMFRI) during 1946-1967. MICHAŁ SIEDLECKI – a cutter. The first research vessel used for the research of the waters of the open Baltic Sea in 1948-1956. 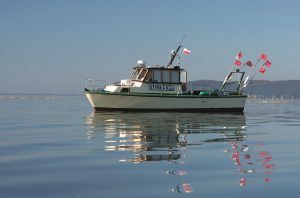 STYNKA – motorboat, which served for research of the Szczecin Lagoon carried out by the NMFRI Department in Świnoujście in 1950-1975. MICHAŁ SIEDLECKI II – B-25s type cutter, which replaced its predecessor in 1956-1968 and was used for fisheries research outside the coastal zone. SIEJA – cutter, used by the Sea Fisheries Institute in 1952-1956 for research of the Bay of Pomerania and the Szczecin Lagoon. 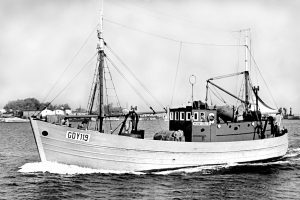 BIRKUT – B-11 drifter trawler used in 1953-1982 for biological and oceanographic research of the Baltic and Noth Sea or even on the waters of north-west Africa. TOL 60 – fyke net boat, used for tests of fishing equipment in the field base of the Sea Fisheries Institute in Tolkmicko from 1954 until mid-sixties. ŚWI 29 – fishing boat used in 1957-1963 for fisheries research on the Szczecin Lagoon. GDY 5 – wooden boat used for hydrological and ichthyological research in the coastal zone of the Gdańsk Bay in 1961-1963. 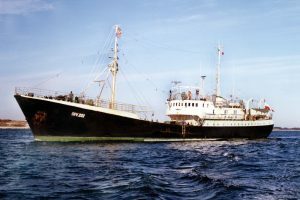 WIECZNO – B-20 type side trawler which contributed greatly to the Polish-American research on the north-west Atlantic and the catches of large pelagic fish in the central Atlantic in 1966-1989. 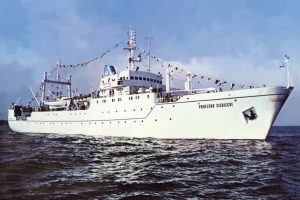 DOKTOR LUBECKI – research vessel used for hydrological as well as biology and fishery research, and catch techniques tests on the Baltic and North Sea in 1968-1988. PROFESOR SIEDLECKI – the largest of the NMFRI research vessels as well as one of the most cutting-edge ones in the world, at its times. Used for ocean research, especially in the Antarctica area, in 1972-1992. PROFESOR BOGUCKI – ocean industrial and research B-417 type vessel. In 1977-1982, it participated in the third and fourth Antarctica expeditions and it cruised the Norwegian Sea and the waters of south-east Pacific. 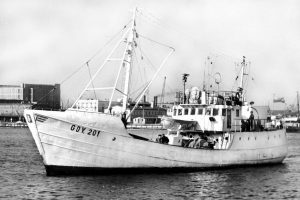 When it was no longer used by the NMFRI, it was handed over to PPDiUR Dalmor in Gdynia and used as a fishing vessel. STYNKA II – a motorboat which replaced its predecessor, STYNKA, in 1975. 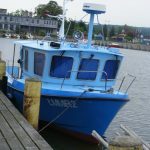 Just as the previous one, it is used for fisheries research of the Bay of Pomerania and the Szczecin Lagoon. 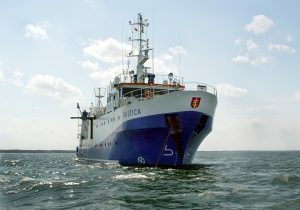 BALTICA – BSB-40 type research vessel which was launched in 1992. Since 1993, it has been used for research cruises of the NMFRI and the Institute of Meteorology and Water Management, Gdynia Marine Branch. ŁM MIR 2 – a motorboat used for the Vistula Lagoon research from 1997 until now.